Get started today - the Pearlwax Starter kit got everything you need to start waxing at home. The product is developed for home use and saves you a trip to the expensive beautysalon. Pearlwax can be used on any area of the body - like armpits and bikini. Pearlwax is made for all skintypes. Get a professional waxing experience at home. Getting tired of shaving every other day? Put an end to it, by using Pearlwax at home, experience a durable, long lasting result. The base ingredient in Pearlwax is a natural Bee wax. That is what we call natural! Can be applied from home, with no need for strips. The equipment is easy and quick to clean after use. How long should the hair be for optimal effect? Your hair should be minimum 3-5 mm long to achieve the desired effect of the wax treatment. The longer they are, the easier the wax is sticks. Yes! 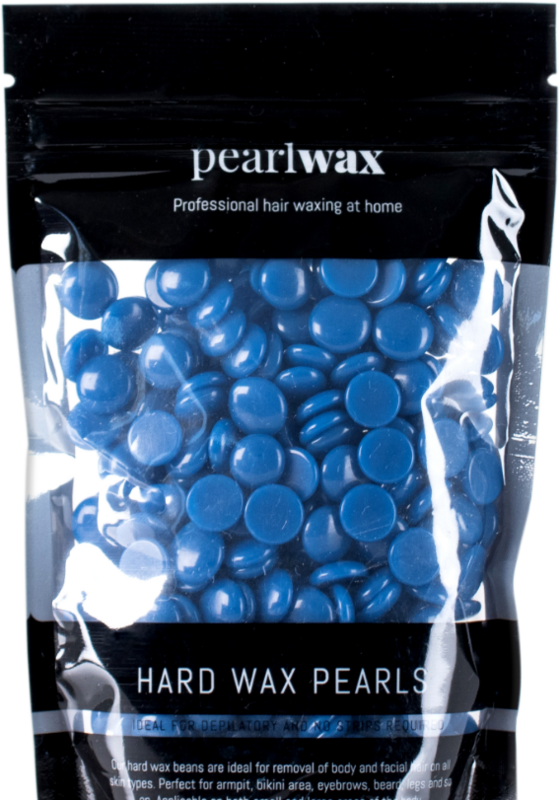 For each bag of wax pearls you get 3 application spatulas included! How many treatments are there in one bag of pearls? About 10. A treatment is defined as a 15-20 cm wax strip on, for example one whole leg or both shins. Credit cards (Mastercard and Visa) and PayPal. All transactions are secure and encrypted. Our delivery takes 2-3 days when your order has been confirmed. We ship from Denmark.